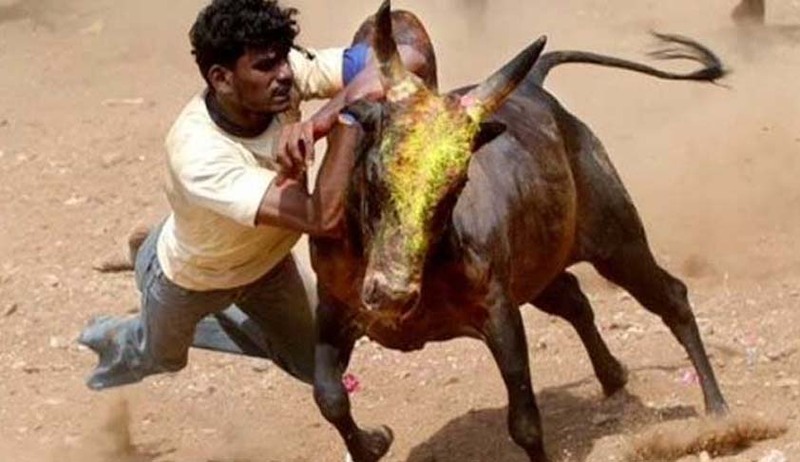 Bowing to the public pressure, the Tamil Nadu government with the help of Centre has promulgated an ordinance to hold the traditional sport jallikattu, the ancient bull taming sport, in the state. The Supreme Court had banned the sport on the ground of cruelty to animals. The legal experts said the government was left with no other option but to resort to legislative means to pacify the ongoing public unrest which had paralysed the state for past few days. Now, government machinery has to ensure bulls were not meted out with any cruelty during the sport. Through the ordinance the state government will amend some provisions by removing bull from the list of animals in the Central legislation- Prevention of Cruelty to Animals Act for which, the NDA government has cleared the draft prepared by the Panneerselvam government to amend the Act enabling the state to conduct the sport. The constitutional experts although welcome the state government’s step in wake of public unrest and opined that the courts should take into consideration people’s faith while dealing with any such issue pertaining to age-old tradition prevailed in that particular area. “It is matter of faith. Right from youngsters to old people irrespective of any age group love the bulls. It is love between the people and animals. They involve in community adventure. It is just a game and not credulity,” Tulsi said. Rupinder Singh Suri, a senior advocate and also President of the Supreme Court bar association, said the government should have waited till the Apex Court’s verdict on the plea which has challenged the 2016 notification of the Central government. “Judiciary should take into consideration the public faith towards the tradition while dealing with any such type of matter. Since the government is planning to remove the animal bull from the list of animals in the Act, the previous petition would stand infructuous, ” Suri said. He said at times, conventional practice can’t bypass rule of judicial order. Holding media partially responsible for the ongoing public movement in the state, Luthra cited that practice of ‘ Sati’ was outlawed due to its menace in the society. In the meantime, the People for the Ethical Treatment of Animals (PETA) has already come out with a statement that any amendment to the law for protection of animals will be challenged in the Supreme Court.